Matt’s basketball career spanned across all levels of amateur basketball. He started in house league through the YMCA of Oakville, before moving up to the club level with Oakville Vytis & CIA Bounce. 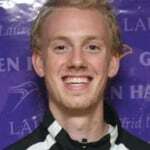 After high school, Matt attended Wilfrid Laurier University to study business, and played 5 years on the varsity team. Upon graduation, he quickly transitioned into coaching, working with Burlington Basketball and Oakville Vytis over the last three years. He has also coached with the Basketball Ontario TID and CP programs. He currently is a trainer at IBSA Basketball in Burlington, and is the head coach of the Oakville Vytis Major Midget boys. A lifelong resident of Burlington, Jeff Boelhouwer attended Aldershot High School and worked as a lifeguard at the Aldershot Community pool through his high school years, while playing several sports at a very competitive level. He endorses a healthy, active lifestyle and still enjoys competing (as an aging athlete), in several team sports. After graduating from Queen’s University, Jeff worked at Syl Apps Youth Centre, a maximum security young offender facility in Oakville, where he developed skills to handle any imaginable crisis. Jeff has coached community, school and club level sports since he began teaching in 1991. He is currently Head of Special Education at Aldershot School, where he has coached volleyball, basketball and soccer. He has also coached both soccer and basketball at the rep level, and his Burlington club basketball teams have won Division 1 Provincial Championship medals many times, including an atom girls “Division One” gold in 2007. Jeff is currently a “Learning Facilitator/Coach Evaluator” for Basketball Ontario and has traveled throughout Ontario meeting and mentoring coaches. He has run many successful basketball camps and clinics and has coached many “travel” teams in AAU style tournaments throughout the US. Jeff understands and endorses a long term athlete development model, and believes strongly in building fundamental movement skills as well as sport specific skills. He has taught Physical Education in a K – 12 school, and strives to make learning fun, while building a competitive spirit yet teaching respect and sportsmanship. Jeff is keenly aware that coaches are role models and takes that responsibility very seriously. Jeff is thrilled to be involved with coaching youth basketball in Burlington.